Are you eager to learn Ethical Hacking and want to be a profound Cyber Security Expert? If your answer is YES, then this course is only for you. 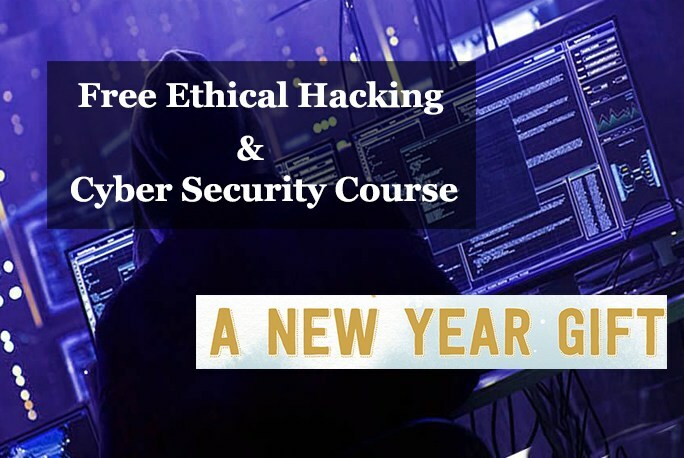 The course is structured in a way that will take you through the basics of Ethical Hacking, Hacking using Kali Linux,Gaining Access, Post Exploitation, Covering Tracks and techniques of Police Crime Investigation so you can become untraceable. We will start by talking about how we can exploit these systems to carry out a number of powerful attacks. This course will take you from a beginner to a more advanced level – by the time you finish, you will have knowledge about most Hacking and Penetration Testing fields. This course is intended for beginners and professionals, if you are a beginner you will start from zero until you become an expert level, and if you are a professional so this course will enhance your Hacking Capabilities. In this course you’ll learn how the Black Hat Hackers Hack using advanced techniques, and how Police and Law Enforcement agencies investigate and trackdown criminals. Curiosity of Learning is main key to go ahead. Passion for becoming a Cyber Security expert or Ethical Hacker. No programming skills are required, we will start from scratch. Complete package of Cyber Security, Ethical hacking and Penetration testing. Consists Quality Unlimited video resources : Never Ending course. New video will be added on every regular interval. Learn Basics of Kali Linux : Hackers operating system. Open Source Intelligence : Information gathering tools and techniques. Google Hacking Database and Google Dorks. Account Hacking : Facebook, Gmail. Gain Better Control Over Any Windows 7,8,10 Computer Systems. Bug Bounty Hunting : Web Application Penetration Testing from Scratch. Access Darknet or Darkweb Using TOR Hidden Services Masterclass. Virus, Worm, Trojan, Keylogger & Backdoor. Cracking windows password within Seconds. Advance Phishing & Social Engineering Methods. Ethical Hacking using Kali Linux. Password Cracking : Dictionary, Bruteforce, Rainbow Table Attack. Steganography : Hiding secret message in photo. Website Hacking : Like a Blackhat Hacker. Different Types Of Web Application Attacks and Web Application Hacking Methodology. Hacking The Hackers : Cyber Crime Investigation and Forensics investigation. Creating Undetectable Malware and Viruses. Various Types Of Footprinting, Footprinting Tools And Countermeasures. System Hacking Methodology And Covering Tracks. Various Types Of Penetration Testing, Security Audit and Vulnerability Assessment. Mobile Platform Attack Vector, Android Vulnerabilities and Mobile Security Guidelines. Metasploit Extreme on Kali Linux. One who wants to become Ethical Hacker and Cyber Security Expert. One who wants to know how to secure his system from any cyber attack. Enjoy the free COURSE and happy hacking! !